@ fat is writing on the Svbtle network. It’s wonderful to watch Noam Chomsky completely write off Postmodernism. 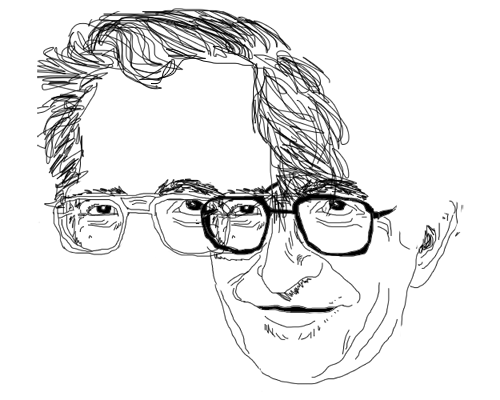 If you’re unfamiliar with Chomsky, he’s a largely well regarded, American intellectual and MIT professor of Linguistics and Philosophy (emeritus). And yet, despite his accolades, his dismissal of the Postmodern movement itself isn’t anything special. What’s truly great however, and really worth considering, are the grounds by which in this post he issued his dismissal. In a single gesture, Chomsky threw out everything offered by Lacan, Derrida, Foucault, and countless other “Paris Intellectuals” on the basis of dialect alone: a Postmodern dialect, which he found to be incompressible, “gibberish.” Latent with what he describes as “three-syllable words, incoherent sentences, and inflated rhetoric that (to [Chomsky], at least) was largely meaningless,” Postmodern writing not only turned Chomsky off on its ideas, but drove him away from its academic circles, for good. But, for the Postmodernists, this was a success. Indeed, there is a certain dialect at work in Postmodern thought. There are a number of concepts and styles of discourse that are completely unique to the movement–and a number of novel modes of thinking and approaching problems. Modes which even someone like Chomsky, who is classically trained in Philosophy, will have to invest serious time in to fully grasp. But that is precisely the point. In this way, dialect, as a particular manifestation of a given language, emerges as something other than simply style; it becomes a very practical defense mechanism. that in itself would be a huge reason to use C.
off, so that he doesn’t come and screw up any project I’m involved with. There are two threads to pursue here. The first, as an author, don’t be afraid to stray from any given dialect, even if it means more work for you. But do so only insofar as you want to shelter your project from engineers unwilling to invest in core modes of thinking that you deem necessary to grasp in contributing to the ideas of your project. The second, as a potential contributor, it’s perfectly ok to be opposed to the ideas of a project, but don’t allow yourself to write something off at the level of dialect.